While Twilight has recently become a big hit with the new movie coming out, many people are starting to read and even reread the series. But what many people may not know is that Stephenie Meyer has another book totally unrelated to the Twilight series. This book is called The Host. Instead of being about vampires, this one is about aliens. Not the typical green aliens you may be thinking, but small, silver, centipede-like creatures. They go to each planet and take over the bodies there. They invade Earth and take over the humans by planting themselves in the brains of their "hosts". In The Host, one particular alien, Wanderer, becomes a part of a human named Melanie. While in their brain, the aliens can control the human's body and have access to their memories. Wanderer's job is to find the rest of Melanie's family and friends that are in hiding from the aliens. But Melanie won't have any of this and prevents Wanderer from accessing her memories to keep the people she loves safe. All Wanderer knows is that this isn't supposed to happen. 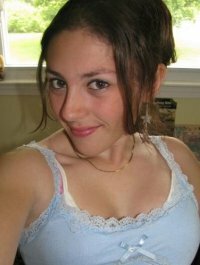 Melanie is strong - too strong. They actually have conversations with each other in her head. What's worse, as Melanie slowly reveals her past, Wanderer falls in love with the humans Melanie loves, the humans she's never seen in her life. Melanie aches to find her family and friends and hopes that they are safe. As Wanderer so desperately wants to report what she knows to her own kind, she also doesn't want the humans to be hurt. Throughout the book, Wanderer is torn between staying with the life she has always known and having a new life on Earth with the humans she has fallen in love with. Just like the Twilight series, Stephenie Meyer knows how to capture our most passionate emotions and win over our hearts. 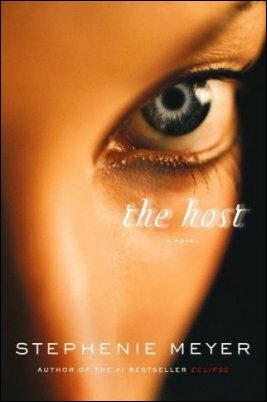 The Host is no disappointment - it is definitely worth reading. Out of 5, I give it 6 stars!